We have lots of freedoms as Americans. Freedom of religion, of assembly, or thought. But is freedom a thing you have, or something your strive for, is just beyond our reach, or what we become? In our book club this week we discussed “Disposable People” a report on global slavery, which stated that freedom is a process. Jesus says a similar thing, implying that it’s neither here nor there, but something we’re becoming. One of my first steps in studying for worship each week is googling the word, or words, that strike me in the text with which we’re wrestling. 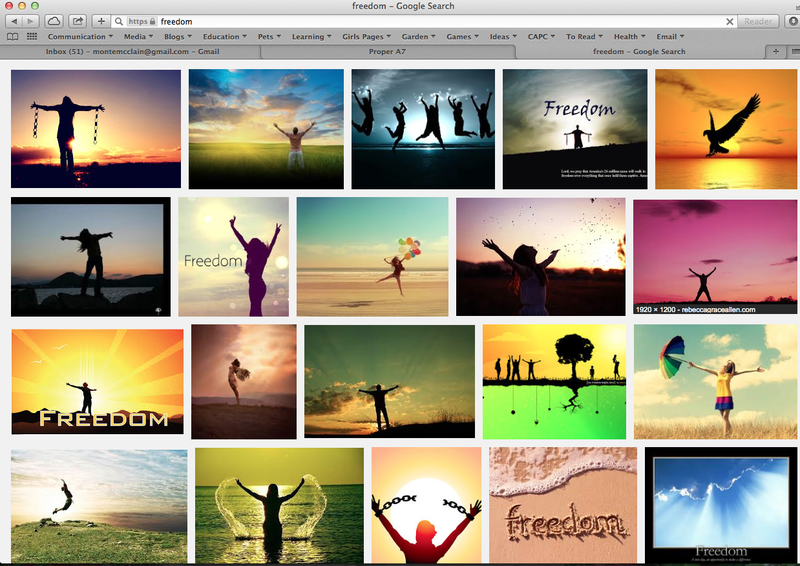 In googling “freedom” I got this screen (pictured below) full of images of people jumping in the air, later it was pictures of birds flying either in groups or all alone. What kind of visible metaphor is that for freedom? It’sseems more about gymnastics or aerobics than an expression of what freedom is. It definitely doesn’t seem to really convey what Paul is pointing to. How do you not feel free, or enslaved, trapped or controlled in life? Is it a limiting of your choices because of your birth-culture, status or gender? Is it a lack of education that prevents you from doing something? Is it a debt that you must pay off? Is it a burden, such as a family or relational commitment, that you cannot put down? Are you shackled by addictions or mental illness? 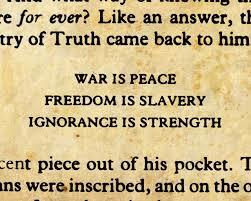 Or does freedom feel like slavery, as it’s described in George Orwell’s dystopian novel 1984? In Romans 6, Paul writes to the church community in ancient Rome, seeking to explain to them what it means to be free in Christ, to live this radical freedom that transcends all barriers: gender, class, culture, social, ethnic and age. But it’s not just a freedom from things, or forces, that enslave. It’s simultaneously a freedom for living and being a certain way. Martin Luther was perhaps one of the most articulate human beings to wrestle with, explicate and elucidate this freedom in Christ, which he knew in the overabundance of grace. Yet in his own life he was haunted by guilt, emprisoned by the darkness of despair and doubt. In the horror of that night of doubt he would look at his desk upon which he had carved in the phrase, “I am baptized.” When he was exhausted, exasperated and threatened he would find courage and comfort in this assurance. He was baptized free from sin and death, free for life in Christ and for life with God. Matthew 10:24-39 Jesus starts (or rather continues as we’re joining a speech in progress since verse 5) by reminding us that freedom is the ends, but rather the means of life. He’s warning his followers that if he was judged, rejected and despised, even called a servant of Beelzebub (‘the prince of demons” a name which came to mean Satan) then those who take up their cross, following him in his way of life through self-giving service, radical obedience and God-centered nonviolence, shouldn’t be surprised if they receive the same judgment and label from others. He then iterates a depressing list of pains, divisions and brokeness that he is bringing into the world. Yet that list ends with a twist, a paradoxical statement of radical reversal: “whoever loses his life for my sake will find it.” I think his statement is reminding us that freedom is a paradox. It’s not about being free for absolute independent autonomy, doing whatever we want when we want, but about finding true life in community seeking to pay life forward as a contagious gift. What word, phrase or image in the text grabs you? How have you experienced freedom in Christ? How do you need such freedom? How does our world? 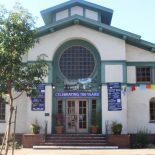 This entry was posted on June 18, 2014 by Monte McClain in Uncategorized and tagged Blogging Towards Sunday.